There was absolutely no excuse for children of the 80s to be afraid of the dark. Throughout the decade, ordinary products were continually being transformed to encourage nocturnal activity by adding one simple attribute..."Glows-In-The-Dark." From cereal boxes to slot cars, these illuminating items finally gave kids a reason to turn off their E.T. night light and not be afraid to play the dark. How did this simple marketing ploy work? Kids soon realized that playtime was now extended beyond bedtime. Once they understood that, it was all about collecting as many glow items as possible. 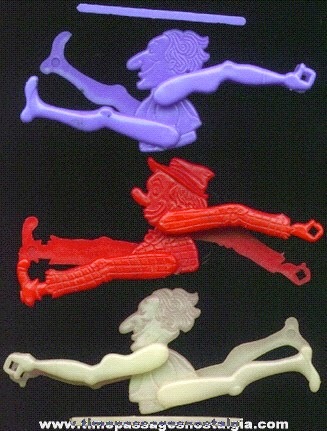 It didn't matter if it came from a Happy Meal or the toy store, if it "glowed-in-the-dark" it was on another level of cool. I wanted this track so bad as a kid. It was cool enough that it could defy gravity, but add in that it glows in the dark for nighttime racing and it was beyond cool. Tyco also released the Super Turbo Train with the same features and Hot Wheels also entered the night racing world. Released in 1982, the illuminating plush toy Glo Worm was a hit for Hasbro's Playskool division. The company then grew the Glo Friends toyline in 1986 with an assortment of toy creatures and a series of cartoon episodes that aired in conjunction with My Little Pony. 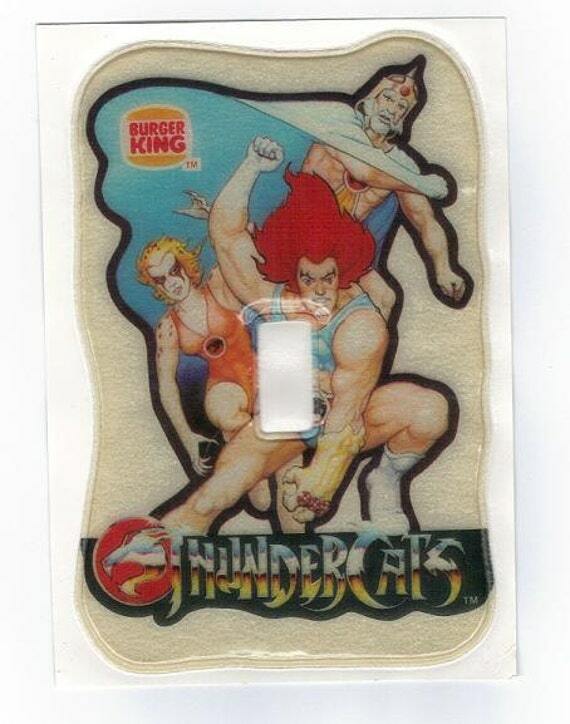 We all knew which Thundercats toy was the best in the Burger King kids meal packs...the glow-in-the-dark lightswitch cover. We didn't want a plastic cup coin bank, a Snarf straw holder, or a secret decoder ring. We wanted the Thundercats to glow each night when we turned off the light in our bedroom. "The first cereal box to glow in the dark." SOLD!! 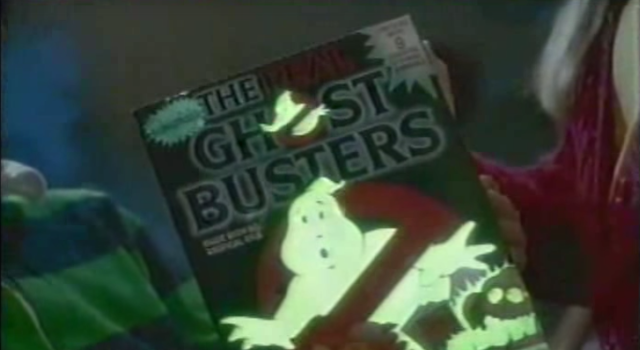 Were weren't really gonna pour a bowl of Ghostbusters cereal in our bed each night to see the box glow...we just wanted the trading cards on the back. "My Barbie looks twice as beautiful as your Barbie! Oh yeah, well does her hair glow in the dark?!" (Cat fight ensues) With Moondreamers, Dream Glow Barbie and PJ Sparkles, there was plenty of glow jealousy to go around. These swords didn't necessarily glow in the dark, but the light-up features helped us to defeat Mumm-Ra and Skeletor just as well. Plus, the batteries made it more convenient in battle than stopping to hold over a lamp. I believe the glow-in-the-dark Domino Rally set came out in the early 90s, but it definitely had an '80s feel. "Hey kids, who wants to use the glow-in-the-dark domino guillotine to chop off some skeleton heads?" Don't remember Clarks Hardware sneakers, but if you had a pair, chances are you were voted Mister or Miss Popular in your yearbook. Not 80s but do you remember a game by Parker Bros called Screech? ( http://www.youtube.com/watch?v=upzMgTIrs-4 ) I don't remember it but a fellow collector friend of mine got just got a MIB one off of ebay. Aw yeah Moon Dreamers, haha! I loved mine! I also loved PJ Sparkles and that doll went everywhere with me. Glow in the dark stickers were pretty sweet for those that collected back in the day!